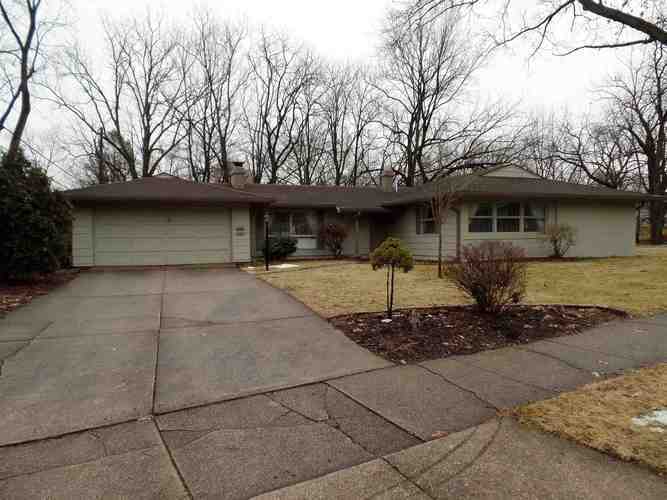 **Multiple offers, need highest & best by Friday 2/22/19 9:30 am. ** Twyckenham Hills charming ranch home on a corner lot. Lots of storage, floor to ceiling closets with built in drawers in bedrooms. Living room with built in bookcase. Family room with woodburning fireplace. Pass through to the kitchen and sliding doors to the attached 19' x 10' screened porch. Three bedrooms, two baths. Privacy fenced and mature trees. Garage has a 15' x 4' storage area for lawn equipment. Twyckenham Community Pool yearly membership is available. Schools per SBCSC. Schools, sq. ft. and measurements not warranted. Directions:Ironwood to Brookmede to Tudor, Corner of Springbrook and Tudor.